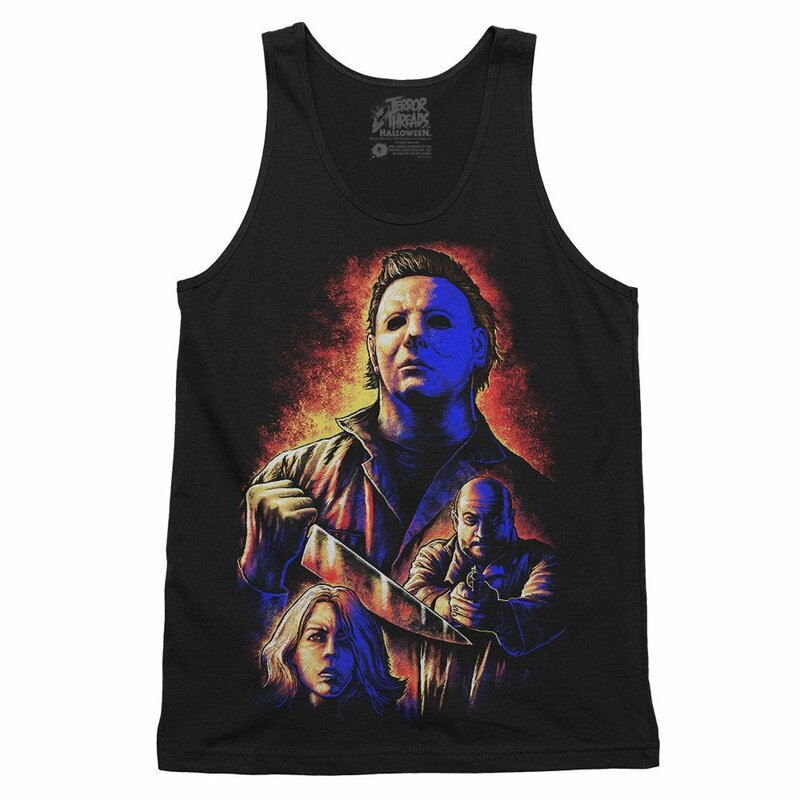 Our friends over at Terror Threads have just released Part 2 of their new officially licensed Halloween collection, featuring Michael Myers, Laurie Strode, and Dr. Sam Loomis in four more new exclusive designs inspired by John Carpenter’s 1978 classic. Part 1 of the collection was released last month, consisting of four designs, including one that is printed with black light reactive inks, and the new additions are each also available in t-shirt, baseball tees, and tank tops, and once again one of the designs is black light reflective. Click on one of the images below to purchase any of the t-shirts, baseball tees, or tank tops from Part 1 or Part 2 today, or click here to shop the full Halloween collection! John Carpenter’s ‘Halloween’ Returns to Theaters October 2014!